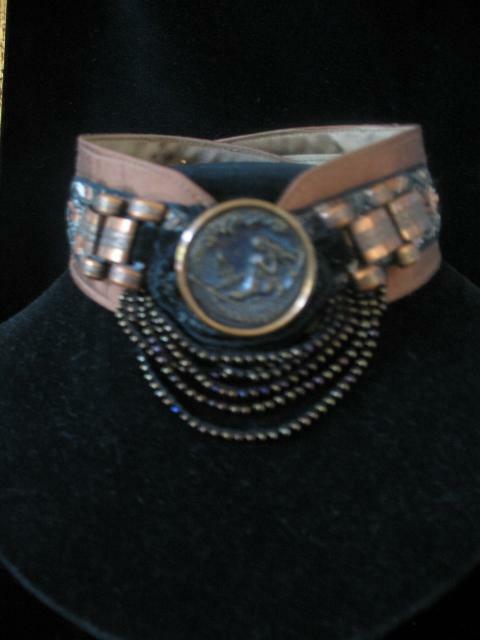 Unique vintage pieces of copper surround a beautiful vintage button that has a picture of a girl or Cleopatra? accented with black beads. Wonderful casual choker.